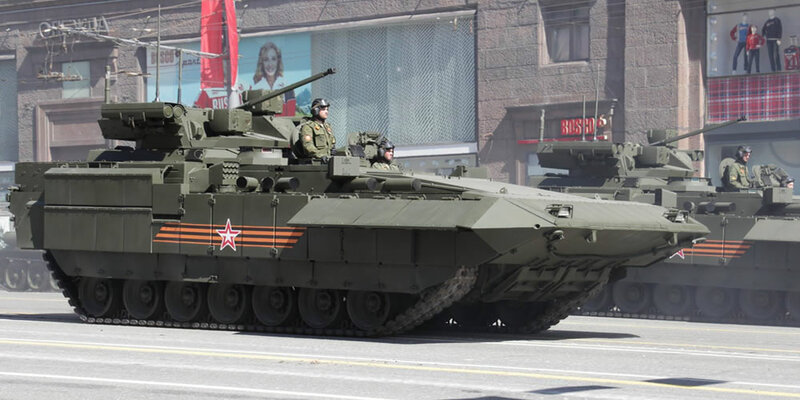 The Armata is a generic name given to a family of vehicles currently being developed in Russia sharing a common chassis, aka Universal Combat Platform. 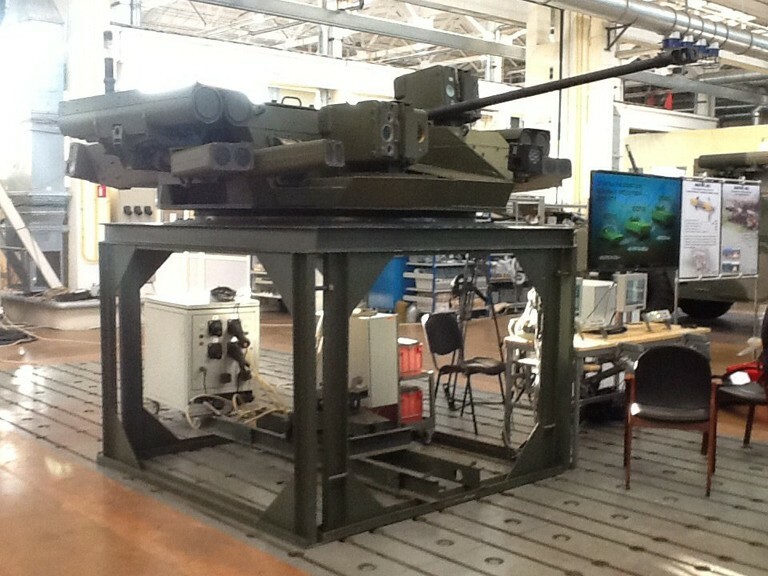 The Armata Universal Combat Platform has been developed by the successful Russian manufacturer Uralvagonzavod (who developed and produced the T-90 MBT). 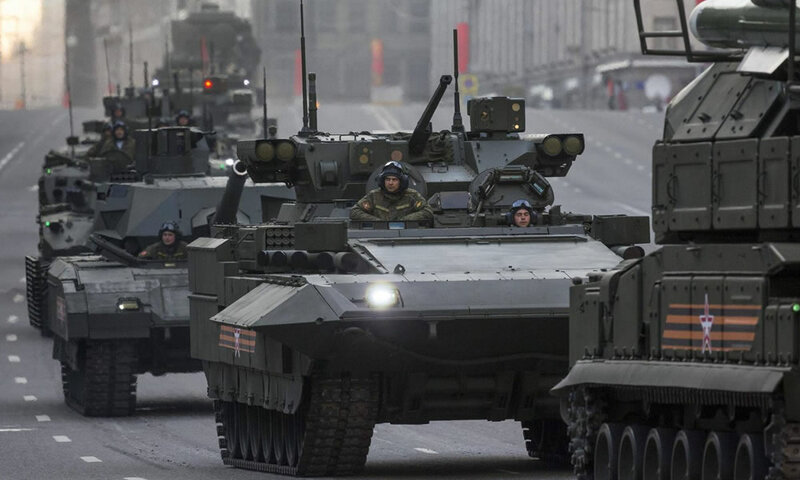 The Armata Universal Combat Platform is a significant change in armoured vehicle development in Russia, who in the past have developed and are operating different, Infantry Fighting Vehicles such as the BMP-1, BMP-2 and BMP-3, which have all been based on different chassis. This has caused problems in more expensive development, having to run several crew training programs, increased cost in repairs and spares as well as having different vehicles with vary capabilities and requirements in logistical transportation. The Armata will eliminate all these problems for the Russian Ground Forces. The T-15 Armata, aka Object 149 is an Infantry Fighting Vehicle based on the Universal Combat Platform. Though pictures of models of the planned design (which wasn’t completed) were taken at the Russian Arms Expo 2013, its début was made during the 2015 Moscow Victory Day Parade. 20 have been built as of 2015 for trials and operated during the Parade. The vehicle is fitted with the same Boomerang-BM Turret as used on the new 8×8 Bumerang and tracked Kurganets-25 Infantry Fighting Vehicles. Main Gun is a 30mm 2A42 auto-cannon with 500 round storage of varying ammunition. Coaxial is a PKT 7.62mm Machine Gun with 2,000 rounds ammunition. Anti-Tank capability is a launcher with x2 firing tubes mounted on both the right and left hand side of the turret. These will fire The Kornet (Russian: “Корнет”; English: Cornet) ATM missiles. The gunner sighting equipment includes day and night channels. His sight is located to the right of the main gun. The commanders sight has the same capabilities and located on the tip of the turret on the left, giving the vehicle a hunter killer capability. The Boomerang-BM has other equipment, which maybe optical jamming and other active protection systems.